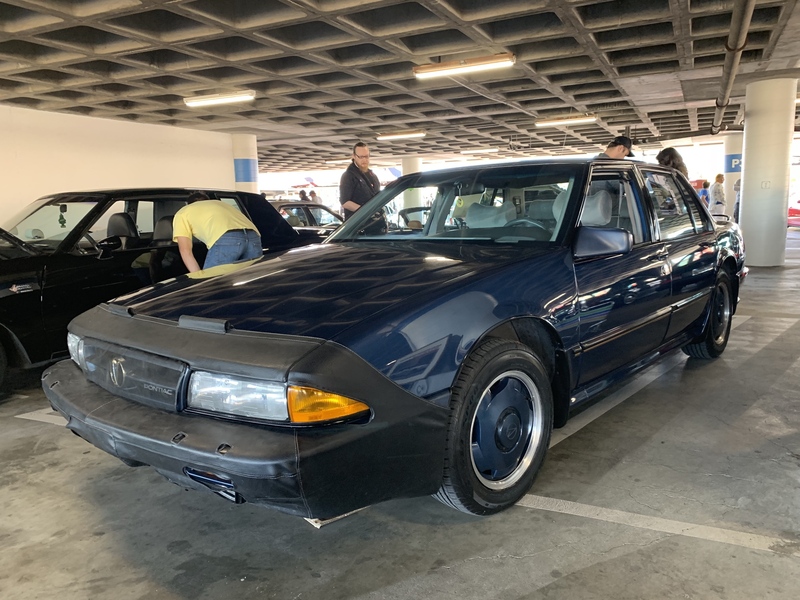 Radwood, for those unfamiliar, is an 80s/90s car event that pops up across the country. There was one recently in Philly and yesterday they had an event in LA. There was a minty SSE there.. I wonder if the owner knows about or is on this site. Matt Farah from The Smoking Tire posted it on instagram but he called it an SSEi. I don't really blame him for not knowing SSEis didn't come out till '92. Beauty, especially in that dark blue. Jerry (repinS) was at radwood and saw that in person. That show looks like the only reason I would have to set foot in California. Cali is pretty deece. Would never live there though. Would live there just for the weather. As to other reasons, it isn't any worse than here because this place is a liberal cesspool also. 3 weeks ago 2/3 of the State was on fire and homes were being destroyed left & right. Now it's under water and homes are being destroyed left & right. But if you're talking strictly temperature, that's decent. 2 weeks ago, we got 10" of the heaviest, wettest snow I've ever had to move. Partially because it started out as all rain so the underlayer was all water. which compounded issues. So you have heavy/wet snow, then when you try to push it anywhere with the plow, you can't because it's soo friggen heavy and you can't get any traction, even in 4WD due to that water layer making the stuff packed down all slick. I literally was at 3/4 throttle, all four wheels spinning trying to push a pile of slop up the street once I got it out of our court. It got to the point where I had piles I couldn't physically push with the truck. Yea, winter if f'ing awesome. I'd find somewhere not prone to fires, no mudslides, where it's nice, weather is nice and I can drive my nice cars year round. We have had the same garbage up here in the Milwaukee area. No sun,cold temperatures and everything is brown. We are lucky as the snow has gone either south or north of us. Good thing is no fires or mudslides!!! This is my first winter that I am retired and am starting to get bored. I love being outside and doing things but will have to wait another 5 months. I just love it after 3 minutes outside and no gloves and your hands start to burn. At least the days start getting longer in 2 weeks. I'm really talking mostly about San Diego area. 70 and sunny all the time is cool. Whenever I'm out there and I get sick, it's either lighter than normal or clears up quicker. The food is pretty good. The nightlife is fun. And the time spend on borrowed motorcycles in the Jamul area has been a blast. I was out there 5x this year for work, been going for ten years and I would go back next week. My personality type is not compatible though. That and all the lame laws, expenses, and liberal mania. I was thinking somewhere in between there and LA. Orange county'ish. If I were to actually pull the trigger. To be fair, not all of CA was on fire or under water. I was at Pismo Beach a few weeks ago and it was pretty nice. Had some clam chowder, saw some whales, and paid $5 to drive the rental car on the beach. Unfortunately there's a 25 mph speed limit and Rav-4's are not awesome 'wheelers. San Diego is a nice area.